The purge of government employees that have scientific expertise continues. 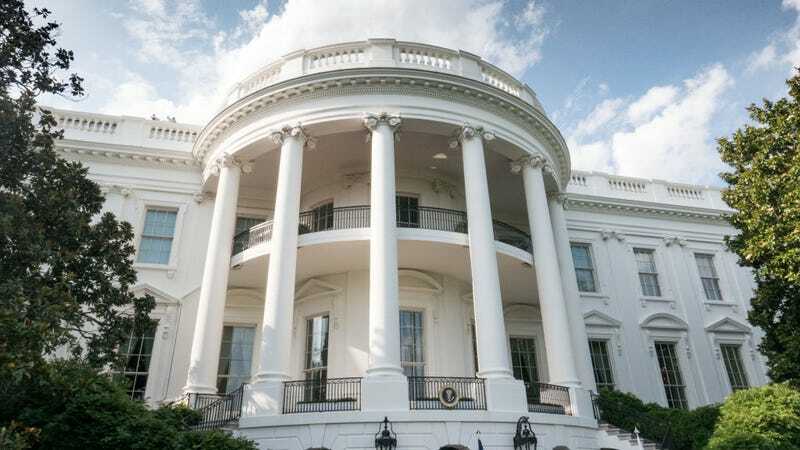 On Friday, the last three members of the White House’s Office of Science and Technology Policy (OSTP) closed the door to their office for the final time. “Science division out. Mic drop,” one of the employees tweeted. All three staff members were holdovers from the Obama administration. Under his leadership, the OSTP had nine employees that were the executive branch’s brain trust on issues like STEM education, biotechnology, and crisis response. According to CBS News, there is no one working in that division of the OSTP now and no clear indication that replacements will be chosen. The Trump administration is painting the situation as a case of pruning an overstaffed government. A White House official tells CBS News that “Under the previous administration, OSTP had grown exponentially over what it had been before.” The source said that previous administrations had staffed the OSTP with around “50 to 60 or so policy experts.” The Obama administration expanded the department to over 100 employees. That increase does not technically qualify as “exponential.” But the Trump administration isn’t necessarily trying to reduce the number of staff to the previous levels, they are going further. There are currently only 35 people in the four divisions of the OSTP. A White House official said that “All of the work that we have been doing is still being done.” Some suggest that employees from the other divisions may cover the White House staff’s work. But the laws of space and time only allow for individuals to be able to accomplish so much. One hallmark of this administration’s term has been to leave thousands of federal government positions empty. Areas that Trump isn’t particularly interested in have been left to atrophy. He has no interest in getting along with other countries or using soft power, so the State Department is languishing. He has no interest in science or protecting the environment so the EPA is avoiding staffing and eliminating over 1,200 jobs. The EPAs Board of Scientific Counselors will be down to 11 members by September 1st. Just a few months ago there were 68 members on the board. Meanwhile, Trump appears to not even know what space is and he has no one to inform him. But issues surrounding science and technology will continue. Advancements in those fields of study will go on. The US simply won’t be adapting with the inevitable march of progress.